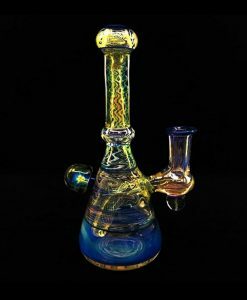 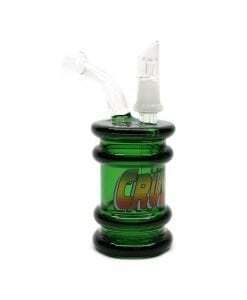 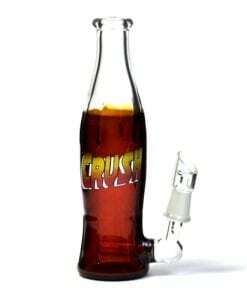 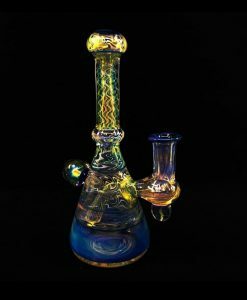 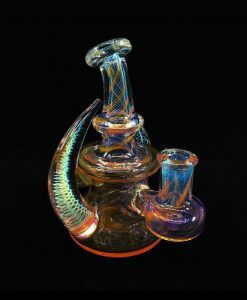 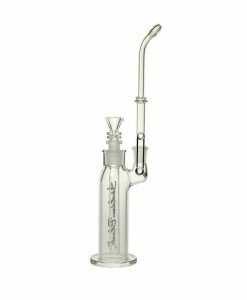 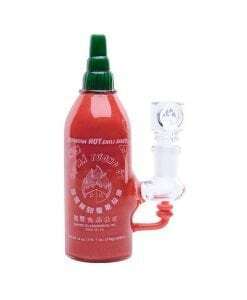 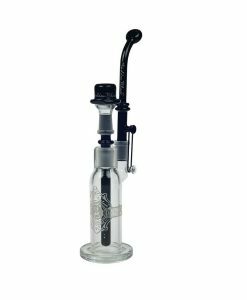 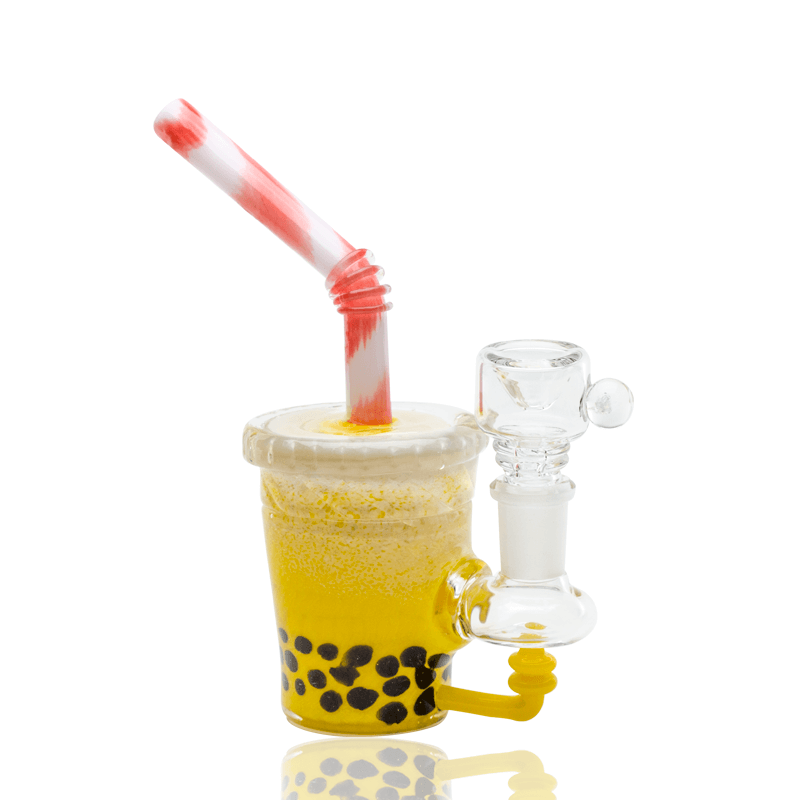 This Oil Rig features a worked Bubble Tea banger hanger design. 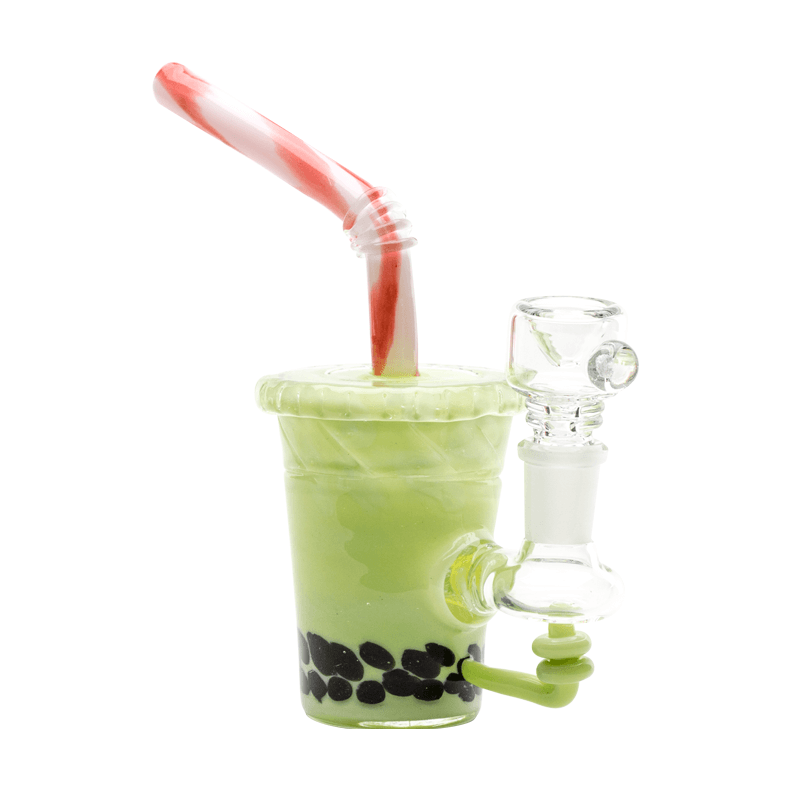 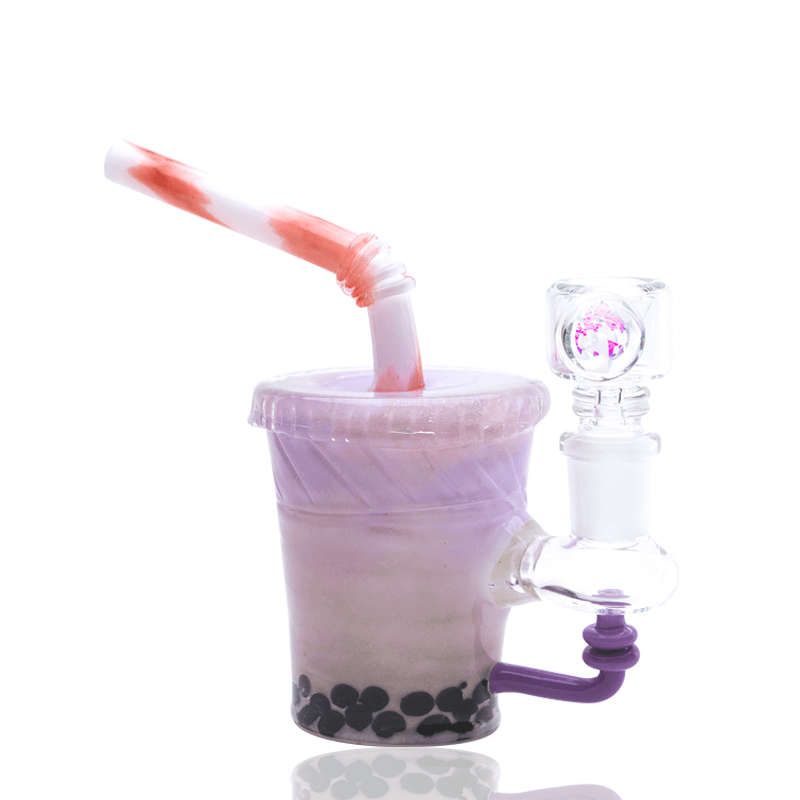 This Empire Glassworks Bubble Tea Rig features a Bubble Tea Cup design with a worked tube body. 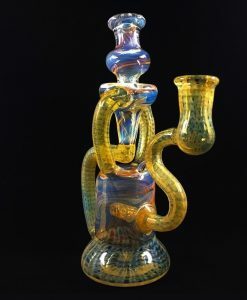 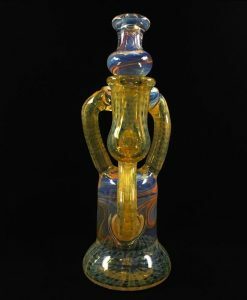 This rig has a reinforced female banger hanger design. 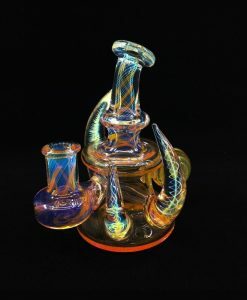 Comes complete with a 14M clear opal bowl slide.